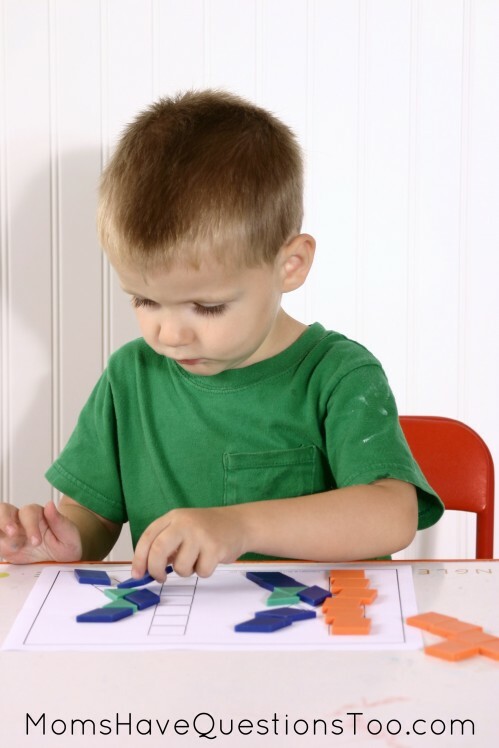 How can toddler school help my child learn letters? 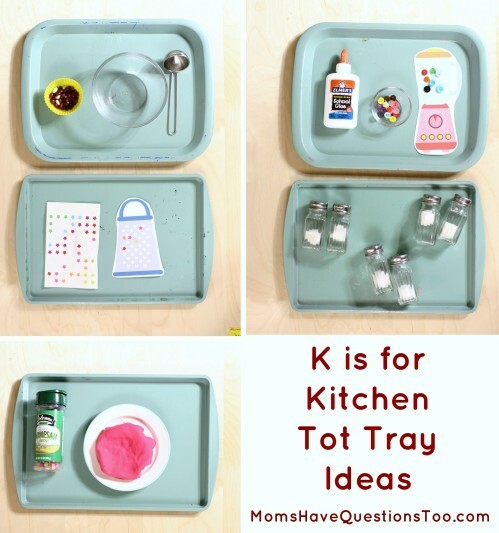 What a great week to learn about the letter k and the kitchen. 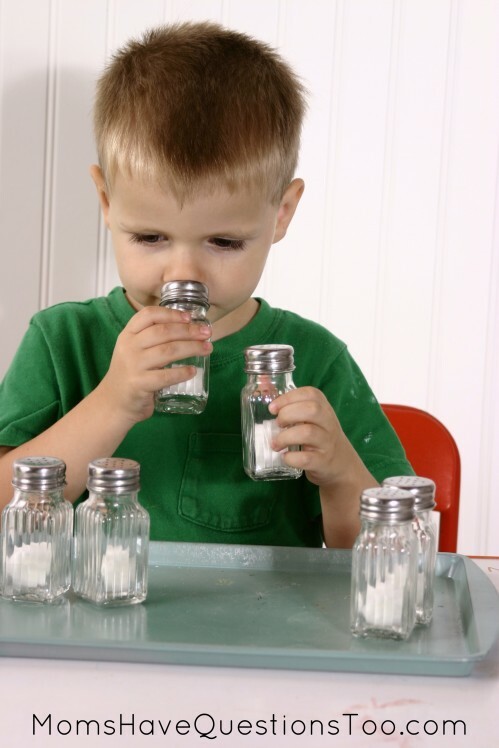 Finally my toddler can make lunch for me. Haha! If only, right? Smiley Man did really enjoy his trays and letter work for this unit. 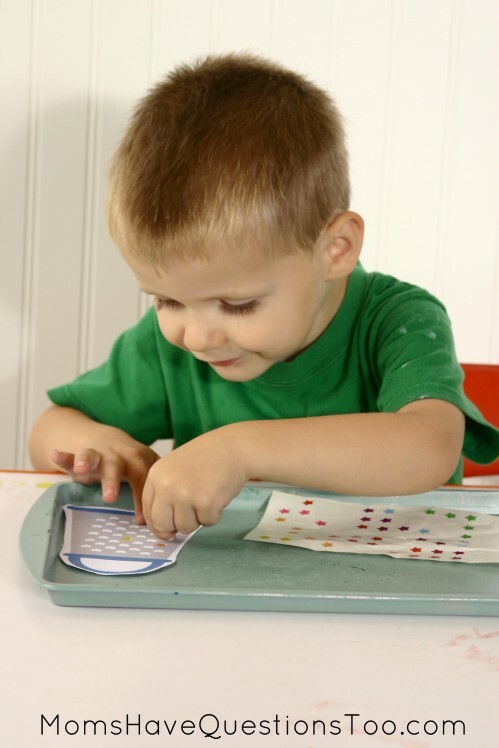 I enjoyed all of the fine motor, letter learning, and matching skills that he practiced. 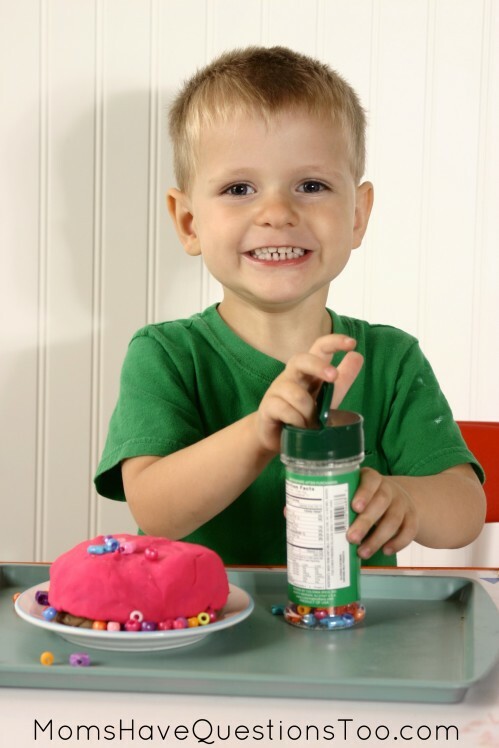 Smiley used glitter glue to cover this thin letter K. He loves glitter glue, so this was super fun for him. I was impressed by his concentration. 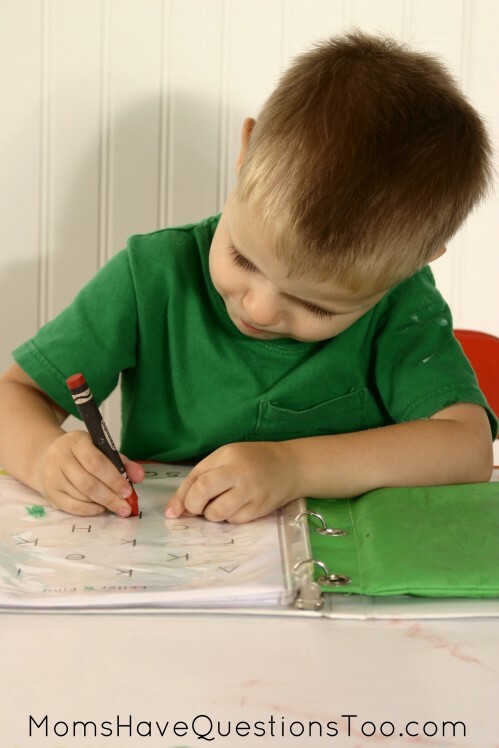 He is getting pretty good at tracing these thin letters. Have dried beans on the tray. 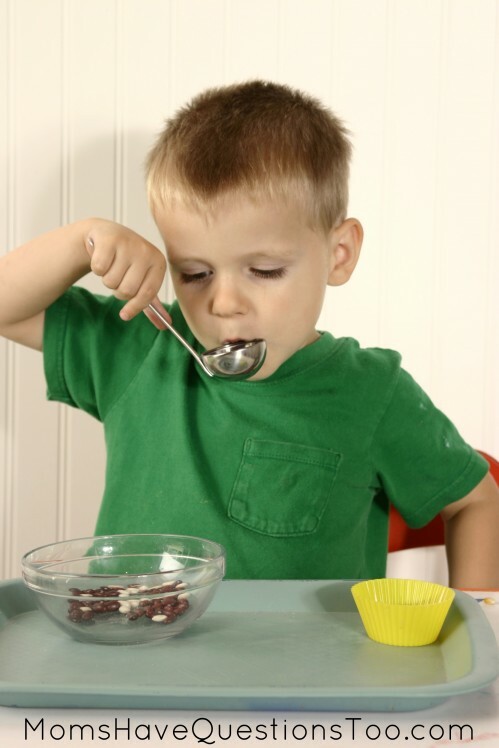 Transfer using fingers into a bowl for “soup.” Stir the soup with a spoon or ladle. 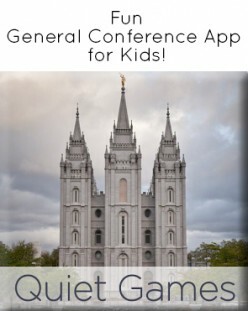 Cover all of the holes on the cheese grater with stickers (printable in Toddler Curriculum). Have smell matching busy bag on tray. Use kitchen spice to match instead of essential oils (cinnamon, cumin, Italian seasoning). 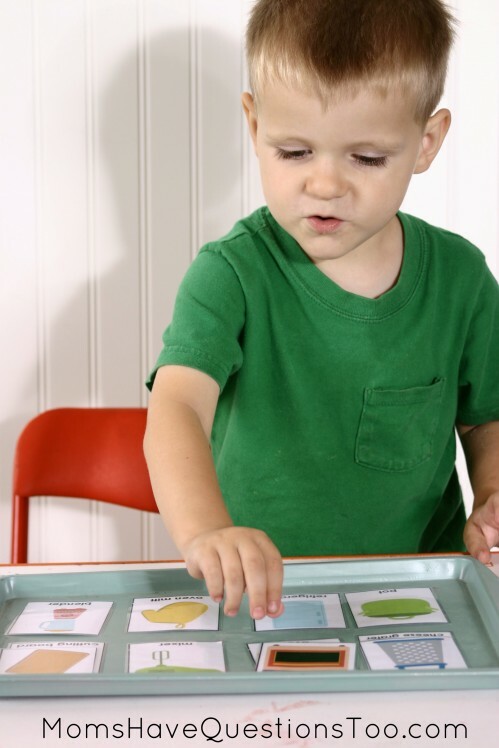 We do 3 Part Cards with every toddler school unit. See how to use them here. I always laminate them because it makes them last so much longer! We often go back and review old cards and it’s nice that they’re all still in good condition. Smiley Man is really getting better at these letter pattern block templates! He still has a hard time rotating the blue diamonds, but he is getting the hang of rotating the other shapes. 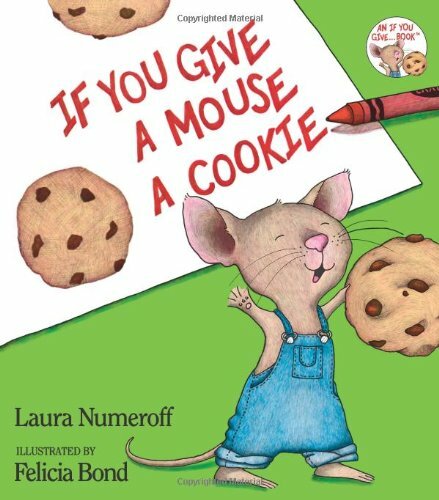 I loved reading If You Give a Mouse a Cookie with Smiley Man. It’s such a classic and went perfectly with our kitchen unit. 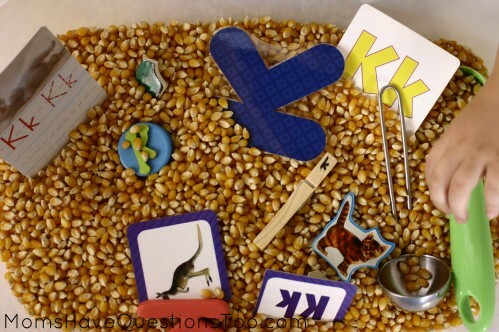 I put dry popcorn in the sensory bin along with the letter Ks and K items. I added a ladle and ice cream scoop, too, because I thought Smiley Man would like to use them with the popcorn. I was right! He played with this sensory bin forever because of the added scoops. 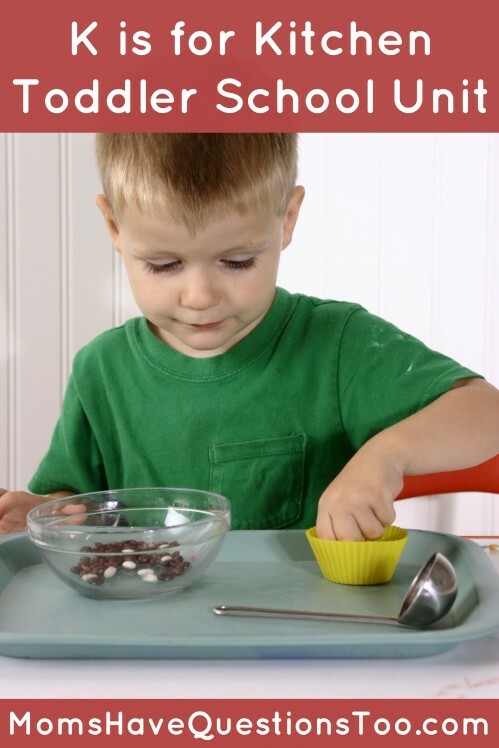 Learn about ABC Sensory Bins and how to use them. 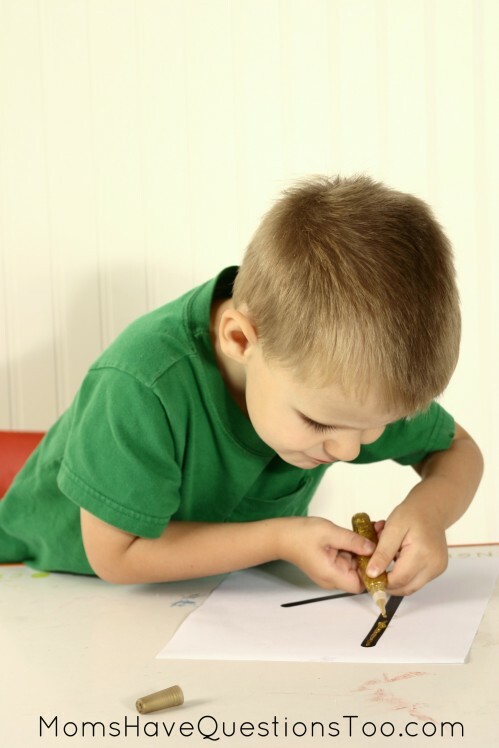 *All printables and ideas are included in the Toddler Curriculum. Read more about it here.